Chuck & Linda Miller (Scottsdale, AZ) traveled east to visit Kevin & Nancy Burns (Bethesda, MD) last fall and enjoyed an exciting OT win by the Buckeyes! “Jack … is a beloved brother and the father of two beautiful teen-aged daughters, Alex and Emma Sperry. “Fifteen years ago, Jack was diagnosed with Berger’s Syndrome (IgA Neuropathy), a kidney disease that occurs when a specific antibody lodges in one’s kidneys. THERE IS NO CURE. The disease slowly progresses over years until eventually, the kidneys cease functioning. When Jack was diagnosed, the hope was that the disease would progress so slowly that medical intervention would not be required in his lifetime. “Sadly, this is not the case. His kidney function is below the critical threshold. It is time for serious medical intervention. Last fall, Jack’s local nephrologist referred Jack to both the University of Cincinnati and Ohio State University transplant centers. I am pleased to report that after thorough and comprehensive medical evaluations, Jack has been approved by both centers for organ transplant. Read more: Can You Help a Brother? Our 2018-19 giving year, which began on September 1st, is half over with $8,381 collected from 56 brothers. We want to thank those 56 brothers (you can find them under the Honor Roll tab on our website) who have already made a contribution to Phi Delt so far this giving year! Our 2018-19 giving year goal is $20,000. Last year only 101 out of 1,706 alumni chose to make a voluntary gift. We need your help Brothers! Who will be next to join our 2018-19 Honor Roll? 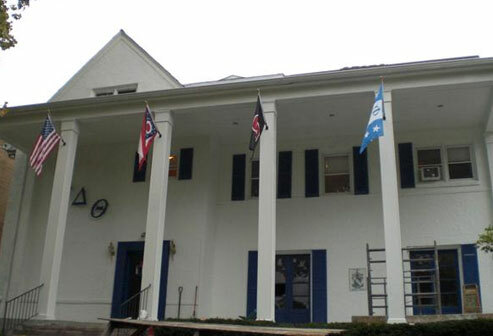 Do You Remember Ohio Zeta March Madness?